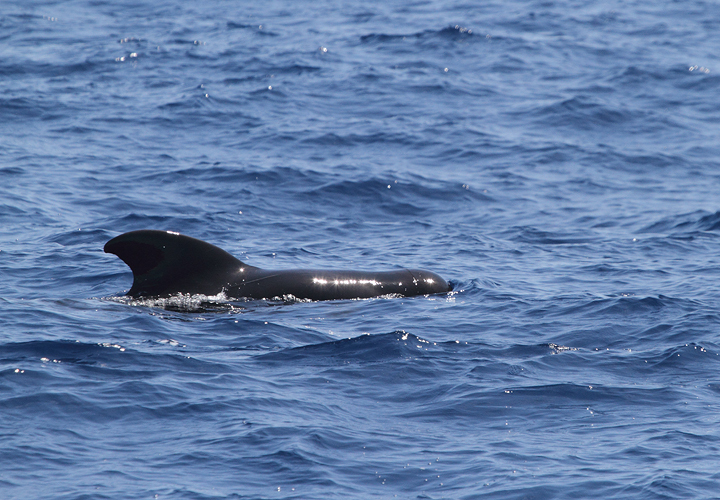 Maryland and Delaware Pelagic Trip (8/15/2010). 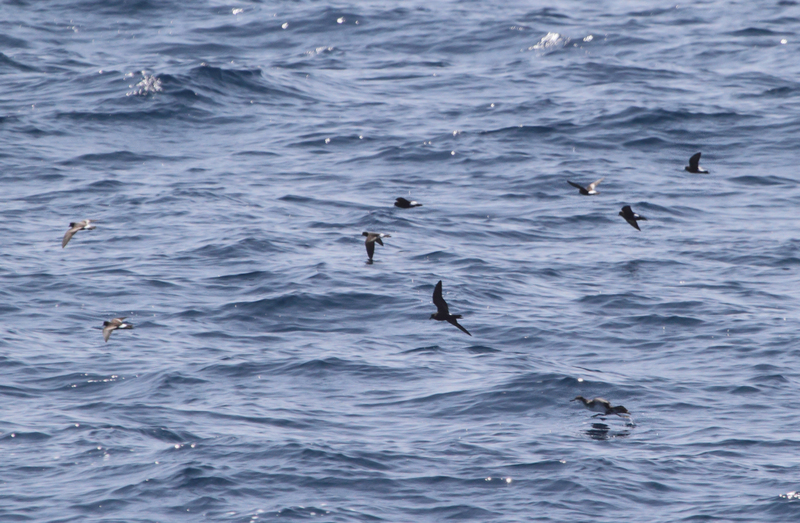 Last updated: 8/16/2010. 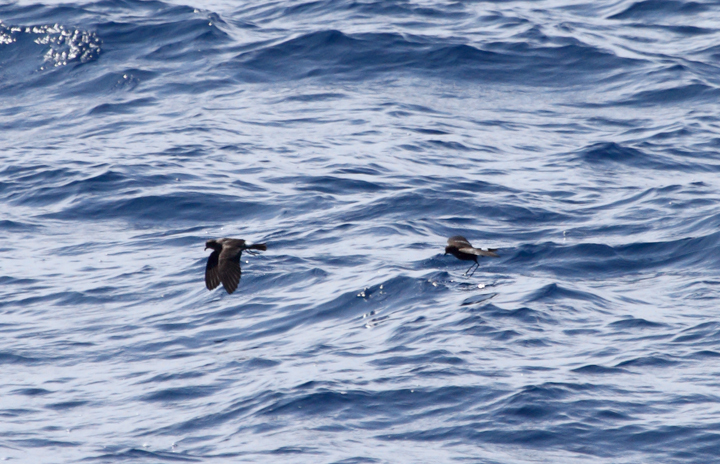 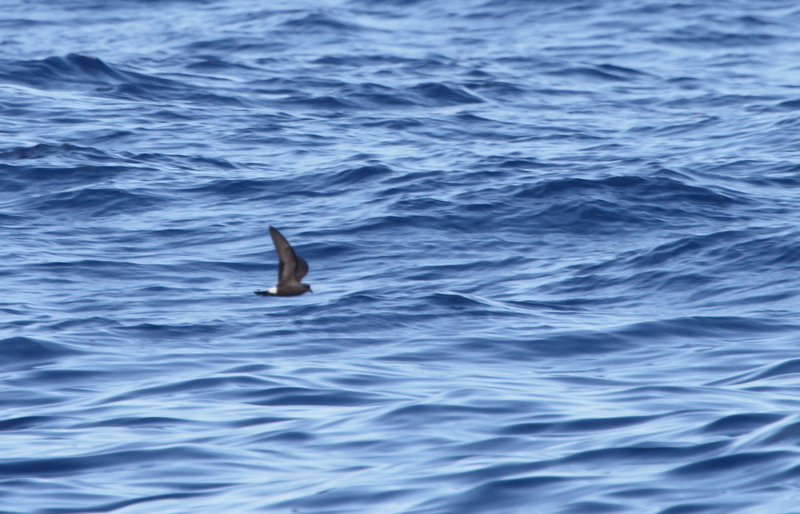 Above and below: One of two Band-rumped Storm-Petrels documented 95 miles offshore in Maryland and New Jersey waters (8/15/2010). 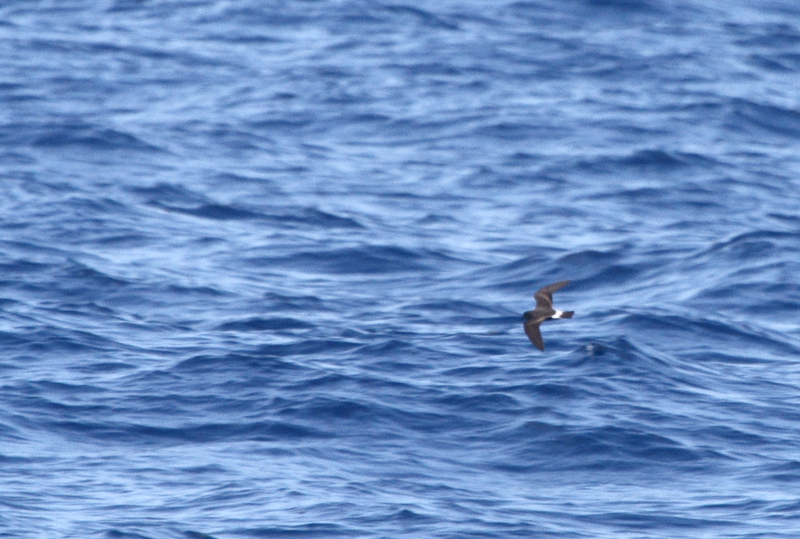 Click any image for full-size. There are three previous reports of this species in Maryland, one accepted (8/17/1997, Baltimore Canyon) and two others ready/reviewable (7/13/2006, Scotland/Chesapeake Bay and 8/24/2007, Pelagic). There are four different populations of this species that could someday be treated as full species. Grant's breeds in the Azores, Madeira, Selvagens, Canaries, and Berlengas. 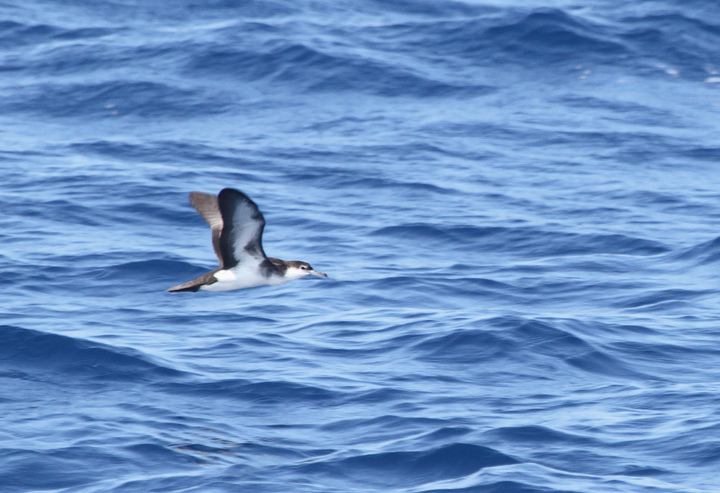 Madeiran breeds in Madeira, Selvagens, and rarely in the Canaries. 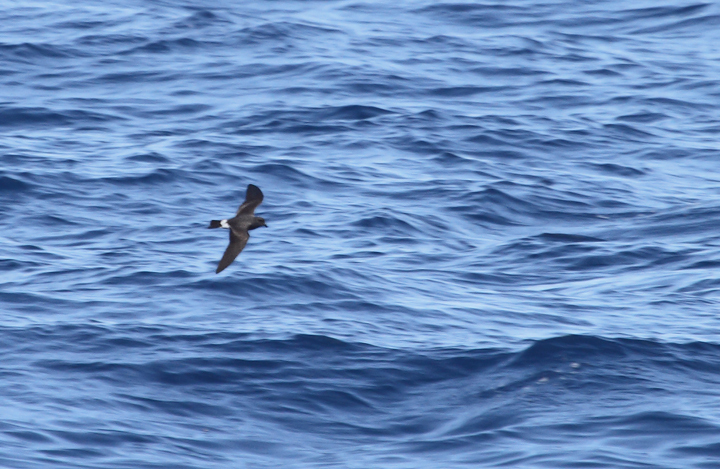 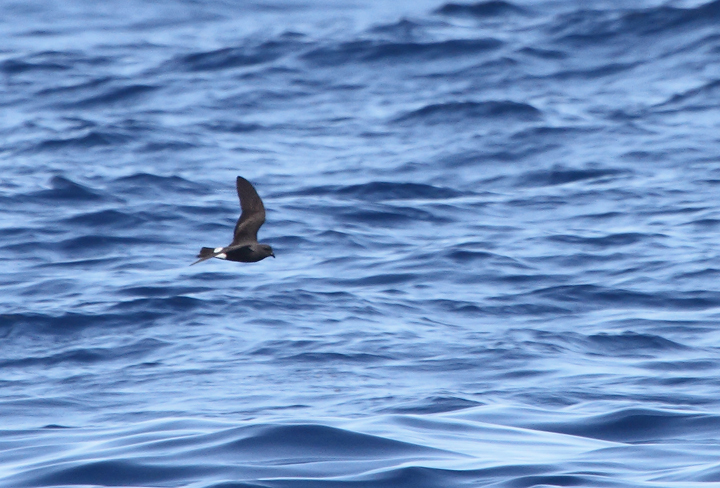 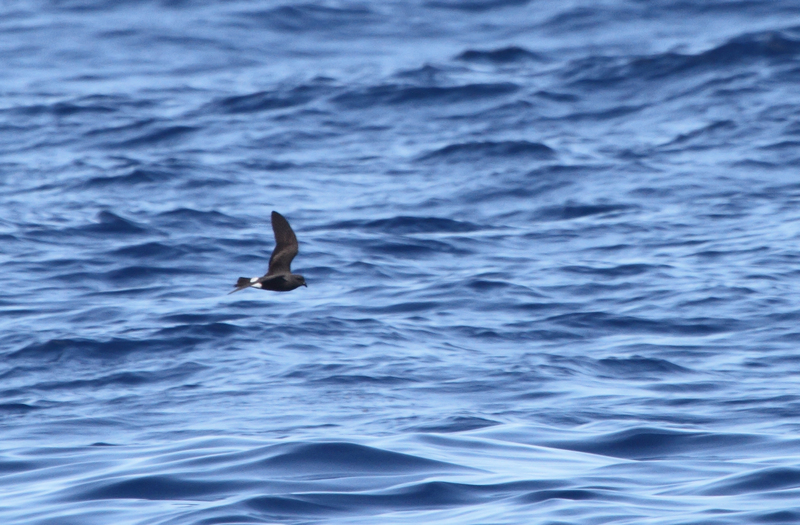 Monteiro's breeds in the Azores, and Cape Verde only on Cape Verde (Petrels Night and Day). 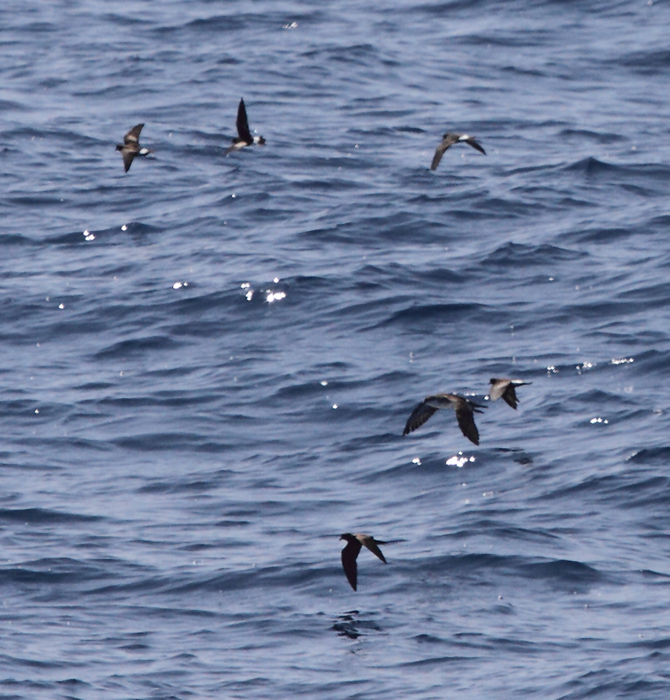 Hopefully we'll be able to establish the bird(s) shown here as belonging to one of those specific populations. 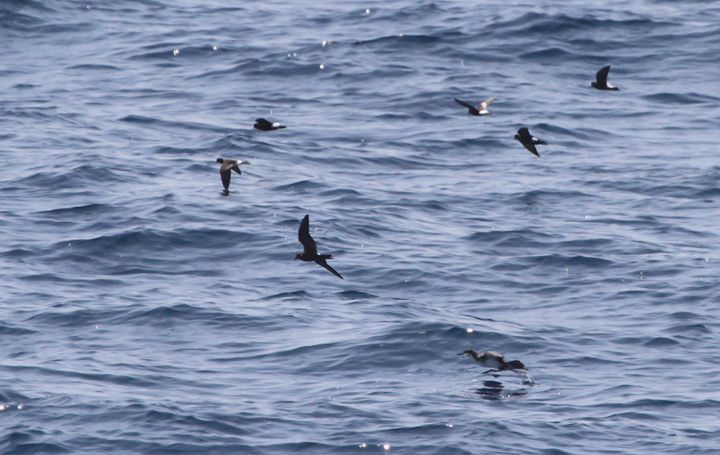 Below: Leach's Storm-Petrel among Wilson's Storm-Petrels and an Audubon's Shearwater - Maryland waters (8/15/2010). 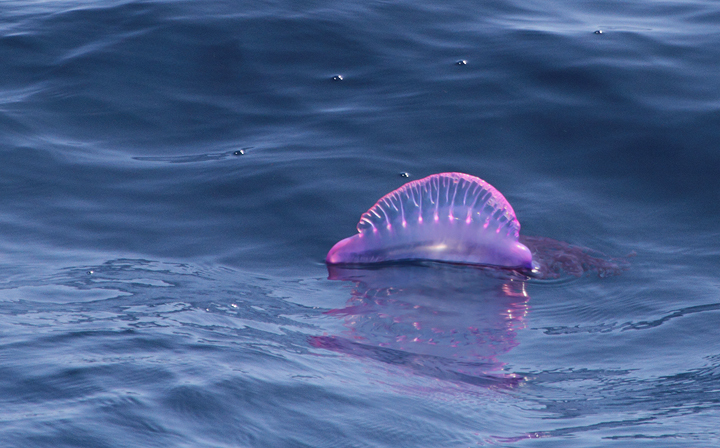 Below: A Portuguese Man-o-war far offshore Maryland (8/15/2010). 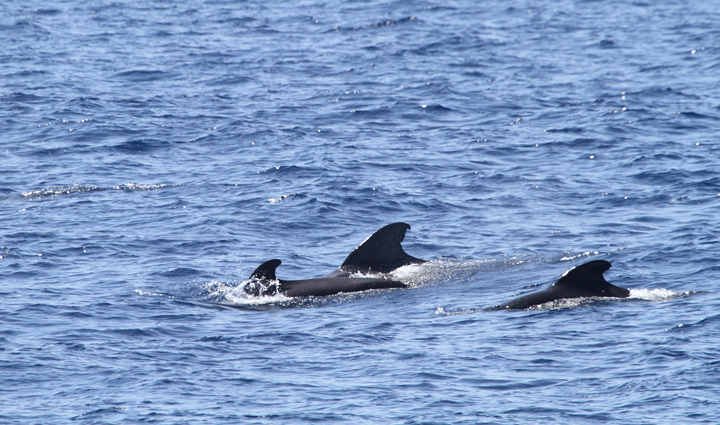 They don't look like they could possibly be real - amazing. 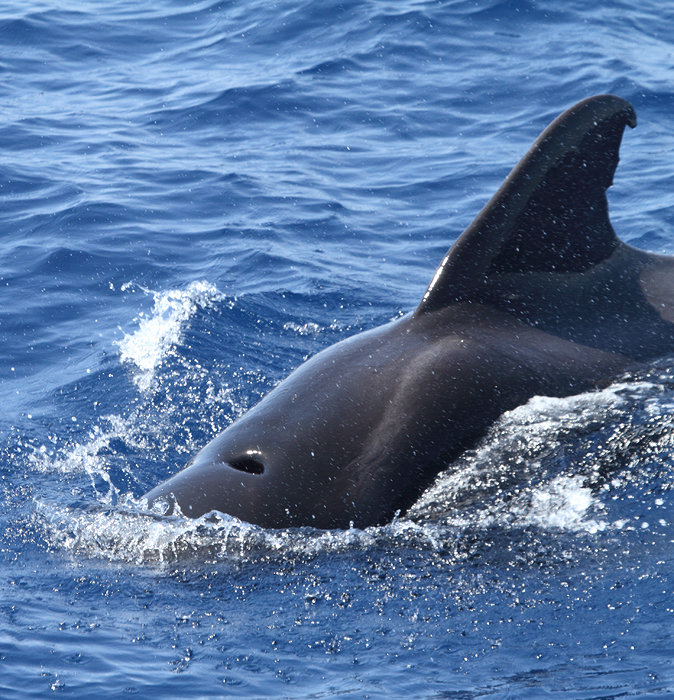 Below: Pilot Whales in Maryland and Delaware waters (8/15/2010). 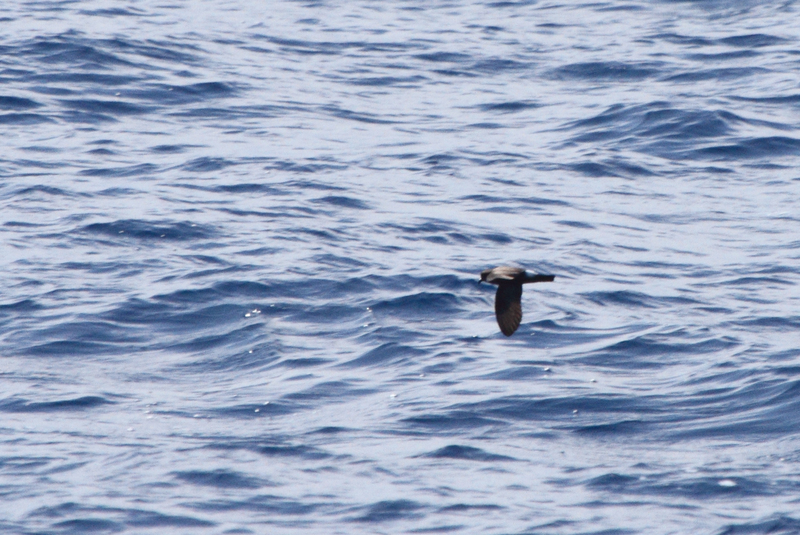 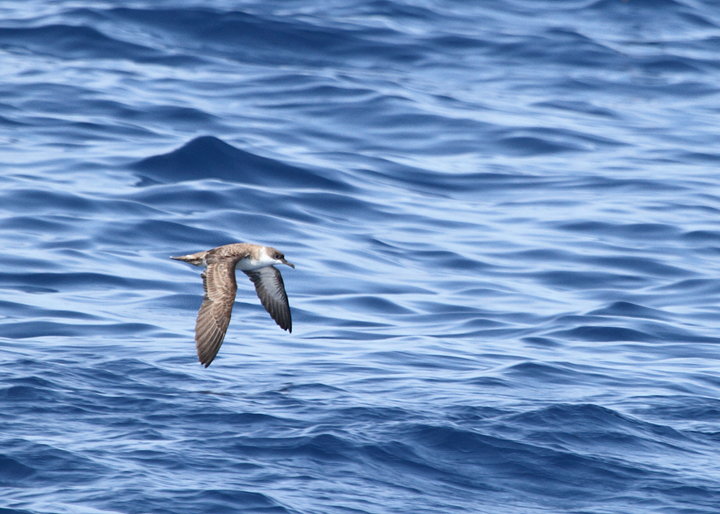 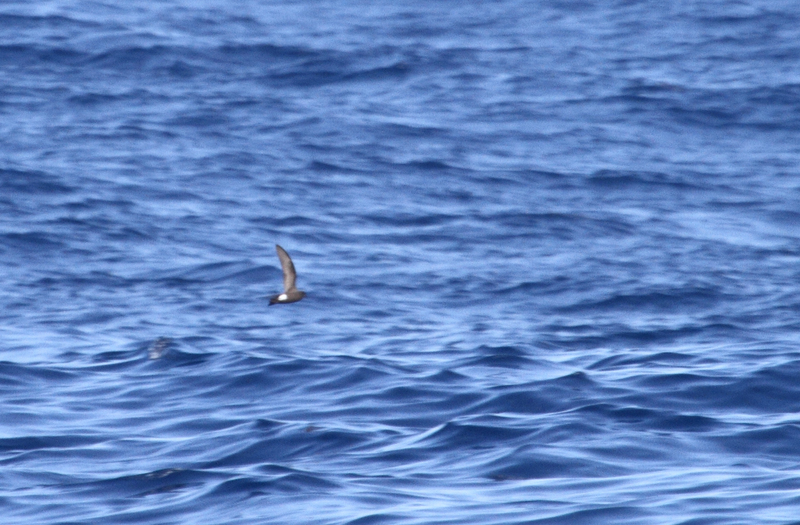 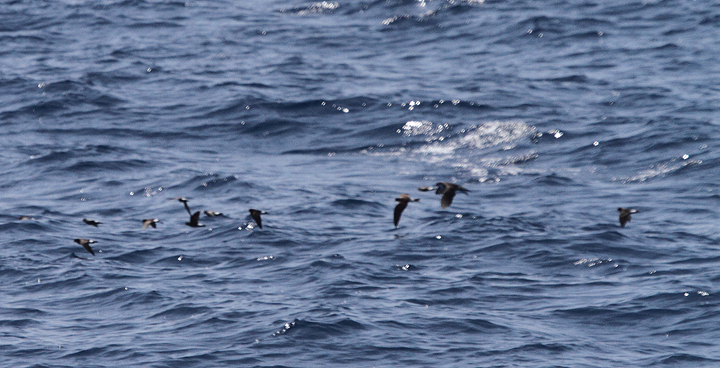 Below: An Audubon's Shearwater in warm waters far offshore Maryland (8/15/2010). 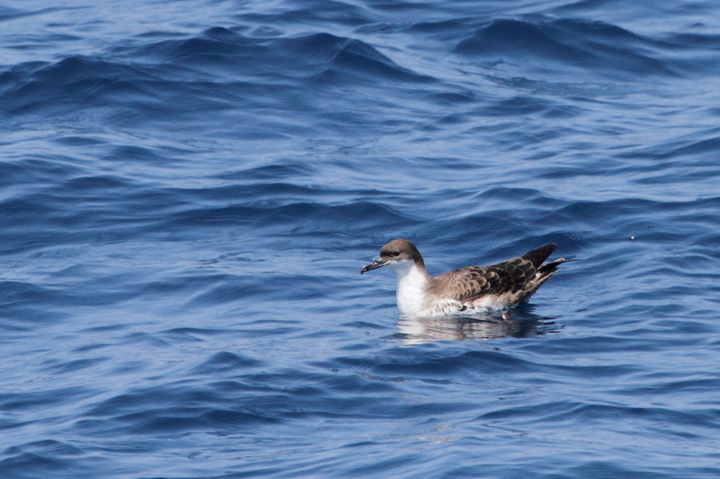 Below: A Great Shearwater takes a break from feeding in Maryland waters (8/15/2010). 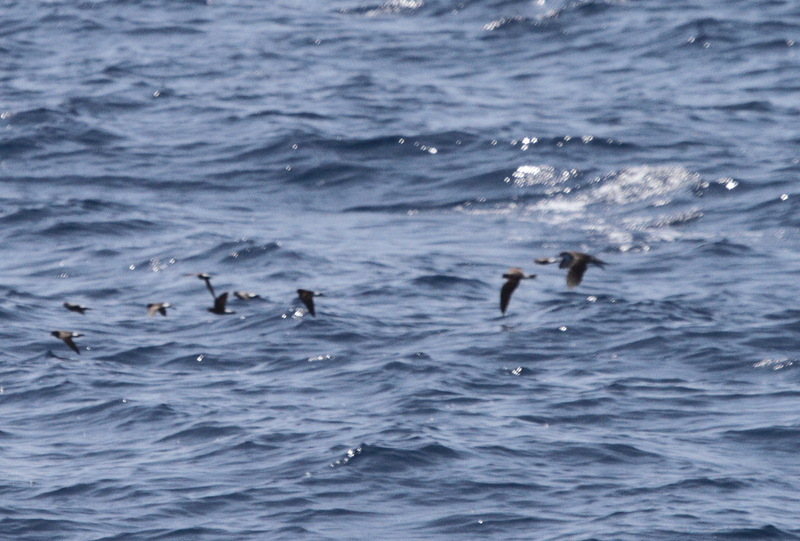 Will post more from this trip soon.